Sitting down at a kitchen table stacked with returns and a spreadsheet showing deteriorating profits, an eBay seller made a heartfelt plea for better conditions. Were all the years dedicated to building a business on eBay for naught, the seller asked rhetorically. Among the challenges the clothing seller described in a post on the eBay discussion boards were shrinking margins, faulty search, constant change, and abusive returns. "I find myself making so much less money than I did even one year ago - that I am literally appalled at the thought of how my time has been wasted. For what purpose did I devote all of those precious hours to eBay? So I could see my earnings plummet, my stress level go up - only now to have the dreadful realization that I should have been putting my best efforts elsewhere? Tell me that it is all just the imaginings of a tired seller's overworked mind - that this eBay, right now - is not what I wasted all these years on." The seller estimates their costs rose dramatically over the past year after eBay removed the 20% Final Value Fee discount and due to higher postage and a higher rate of returns. The seller said they had had to go through their over 1,200 listings many times to keep up with new eBay requirements, "And again - I sit down to do listings, and end up having to figure out how this GTC is going to work. I have read all the postings on this change, and I am still worried - and a little bit confused too. Just another thing to be wary of. Another reason not to trust this company - and another source of stress." But what seemed to be the last straw for this very frustrated seller was a search they'd conducted just prior to posting. "I was looking for prom dresses for my daughter earlier today, and sure enough, I was only shown a small handful of choices." After describing in detail the experience of searching for the dress, the seller wrote, "no seller on eBay got a sale from me today, because after two hours of wasting time here, and after getting seriously frustrated, I did what tons of other buyers must be doing - I went somewhere else - and found what I wanted." "It is absolutely criminal to hide our listings that we pay for - either with store fees, listing fees, or final value fees - we pay several times over when one item sells, and sometimes we pay all THREE ways. BUT eBay isn't satisfied with that - they want us to also pay for Promoted Listing fees, and HIGH return fees - so we can then pay FIVE different ways to sell ONE item - the absolute greed is just sickening." "And it won't stop, they have gotten far too comfortable with their big pay-offs from us. It won't stop unless we make it stop. So I will make my stand on April Fools's Day - and as I do, not only will I be hoping for the best April Fools Day prank ever, but I will also be thinking about the wise words of Abraham Lincoln, repeated by the brilliant Bob Marley - both heroes of men, and champions of the "little" people. "You can fool all the people some of the time, and some of the people all the time, but you can't fool all the people all the time."" While eBay sellers are often described as either "critics" or "cheerleaders," most tend to follow the money. If it's the case that this particular poster is not optimizing their listings effectively, it doesn't seem to be for want of trying. How can eBay improve the plight of sellers like this, aside from asking them to pony up more money to pay for Promoted Listings in the hopes of getting greater visibility? A difficult question, given the fact eBay itself is experiencing slow growth. You can find the full post here along with comments from other sellers and buyers. Ebays search engine is so broken that they will never be able to fix it. They have made so many changes to it with new requirements and rewarding those that do this while punishing those that do that. It has made their algorithm nothing but a sad mess of code that is useless . I now actually use a third party search engine for anything i want to find information about because it actually works and allows me to see what current pricing actually is on something, not some made up price that the item never sold for but what Ebay wants to consider as the sale price for their Wall Street presentation. I also find many more listings of what I want to see from that way of searching than using the ebay search engine. As for buying, I no longer look at Ebay at all as I do not feel like wasting my time and then if i do find what i want it arrives in an Amazon box. Might as well have made the purchase over there where the item is cheaper due to not having to pay for all these fees Ebay now has that are not at all related to a sale having taken place. I sell more now on another site where there are no fees for anything until you make a sale and you no longer have to relist each month, but the GTC does not put you any further down when the search is done by the buyer, they show all of the items that are available. Its a shame that Ebay can't figure out how to make something like that work. Oh yea, i forgot, they have to rely on a google search for their products to now be seen by a buyer. I am sure that they have not made nice with Google nor are they paying them anything at all to be included in the search. They are counting on the uniqueness of their Sellers Inventory to cause the result to come up in the Google search and be found. Wenig needs to go as he is nothing more than a cancer at Ebay. He infects the entire company so that anybody with a conscience or any morals leaves and whats left are the useless, lazy employees who will do anything to keep their jobs, including assisting in Ebay stealing from ts customers if necessary. It's over and it's been over. My 1099s proved that. My guess is that store owners' listings are seen about 10% of the time. I can't prove it, but that is about how often (within a month) that I see little spurts of sales. It's like the turn on the tap for an hour or two but turn it off again after a sale or two. What a sad state of affairs. God only knows how GTC will work but my bets are that it is about to get even worse. Why else would eBay have told us (so many times) to freshen up those stale listings. I closed my eBay store last year and ended all of my listings. Best thing I did in 2018. eBay is so very much not worth dealing with. They are not your trading partner - they are a money grab from you into their pockets. Today I have been working on my eBay accounting details once again as I prepare for taxes. Now I can set back and see what a joke they became over the 21 years I sold there. I say joke, but maybe The Devil is closer to the truth. Us long time sellers simply need to leave. eBay is not worth it anymore. Glad to be gone. I stopped selling on Ebay nearly 2 years ago. I stopped taking returns long before that. It had gotten so bad that nearly half of my sales were coming back as returns for fit, color, etc. It just wasnt worth it any longer. Best decision I ever made. 10 Years ago all we heard everywhere was stories of success. Such stories today are a rarity. As ebay itself feels the burden of diminished profits from the Donahoe era, they are reaching for more money from sellers that just don't have it. Adding insult to injury....The new penalty rates for "very high returns". I sell in a category that for reasons unrelated to ebay, the value of the asset is dropping monthly. When it does, resellers scramble to return all the merchandise they can no longer profit from. My business model has taken this into account, but many return as SNAD thinking they are "forcing" me to accept the return others just do it to get a free label. The only constant for us with SNAD returns is resellers always return SNAD and regular buyers return as just didn't like, yet they both cite similar buyers remorse reasons. I expect that if I am ever hit with a penalty rate that will be the end of my business as well. No reason for this and return reason is not a measure of actual buyer satisfaction or listing accuracy. The sole reason ebay won't allow us to dispute buyers remorse returns is simply because they know most are. So we have two anchor stores. Each with about 8000 GTC listings that we might of pay maybe a few pennies on the dollar for. Nothing sells for more than 20.00. We never use tracking as we can ship anything in an envelope. This in its self lends to buyers claiming not getting their item. We have no problem refunding them, Blocking them and Moving on. We have 5 day shipping and charge a mininum of 2.00 shipping. If they want it combined they use the shopping cart and send us a note. We don't participate in the so called catalog. None of our items have USB codes so we don't even list item specifics for them. In the past year we have managed to pay for a new car 45,000 and half of the mortgage of our house. We have no desire to leave Ebay. As long as we can get a few fancy 3 week vacations and such we are fine. Total amount of time spent might well be under 20 hours a week. We think that the people that have all the complaints should maybe go somewhere else cause something that is so easy they make a major project out of it. Very few buyers care about feedback. So why worry about it. Most buyers don't even read the description so whats with the 20 paragraphs. @Silver Ice King - I sell on eBay and use Amazon boxes to ship. I don't drop ship either. I buy on Amazon now, not eBay, since I am treated so poorly as a seller. Why buy there? I'm just recycling my boxes. It WAS an ecommerce site, now its an advertising site. Why go through all the trouble of dealing with products, when you can just say (as eBay does) "we have everything", get eyeballs on the site and charge people for advertising. Its all just that simple. What does remain of the ecommerce remnants is run like the Sopranos. All the top people in eBay are lawyers, there to change the TOS at will, to create rules and regulations that "their partners" cant and dont understand, and cant defend themselves from. You pay, you pay again, you pay again after that - then eBay burns down your store and moves on to their NEXT partner. You pay for your listings to be seen 24/7/365 via the "so called free lisitings" (which arent free since they come from your store subscription), and your FVFs. But like a greedy mafioso, eBay hides them via the TOS, then tells you if you want to see your precious listings ("alive") - pay up again to eBay via promoted listings and THEN they will go live. After that you of course pay AGAIN via FVF on things eBay has nothing to do with aka shipping. So now you have payed 3x for the same 1 item aka a live listing. Of course all this is in the TOS (thank you Ms Huber) and there isnt a damn thing you can do about it - whatcha gonna do - sue them? Oh yeh - class action suits are in the TOS to - you agreed NOT to make them. When you do get that return - eBay rushes that STELLAR SELLER PROTECTION - helmed by everyones favorite uncle - GRIFF. And what happens? eBay steal from you again - theft by deception - aka you get swindled by the company who swears they are your partner. GOD himself could verify your claim and for what? DW says hes a liar too, never mind the postmaster or your 20 yrs of selling on HIS site. Theres NOT one part of eBay thats not a fraud or a swindle - so how could you be making a profit? Yes Sasi is the exception to the rule. Congrats and best wishes to her - but like 1 or 2 others shes Atypical. My items like others have UPCs, need item specifics and are not $20 - and ship with tracking. And its we who get hit over and over again. The house has the game rigged - thats why smart people sell on other platforms including their own sites. Smart people know DW ISNT smart - just a middle aged con man - a confidence man if you have ever watched The Sting - and thats all it is. 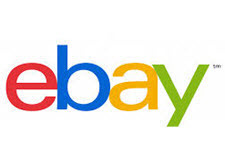 Every year on eBay you need to do AT LEAST 2x as much or you will fall behind - because eBay spends its time trying to find ways to swindle you out of your money 24/7/365. I used to have a full time eBay job selling - and at every turn, eBay "helped me" right into losses. Fake VERO claims, the creation of fake US Trade Laws, false returns, hiding of listings, listing suppression and more .... thats the "just a venue" people at work. Now eBay is part time, and I have a 9-5 job with less headaches, less fake VERO claims, less fraudulent returns - and I make just enough "for the extras". So I cant "go to work in my pj's anymore", but DW gets less of my money, Amazon does ok by me as well, I still go to CES, and DW is still a jerk - and thats just fine by me. I have every data element regarding my sales, costs, etc. since I started this in 2000....2000-2007....profit up, up, up, costs stable...2008-present....profit down, down down with costs rising disproportionately. From the period 2008 - 2012-3ish, I can actually point to exact spots on my spreadsheets where ebay cut revenue in half....like a stepdown process. These spots are where they either decided to cut visibility or one of Donut-hole socialistic egalitarian moves to ''redistribute the wealth'' of profitable sellers. This happened 4 times where it is blatently obvious. Again, I do not kid around....I have every spec of data and analytics related to the decline.....and it is all self-inflicted by ebay upon its sellers. If there is ever a SERIOUS lawsuit as to their business practices (taking our $$ without visiblity for example...no matter what the agreement says) I will happily offer it up to the Plaintiff attorneys. With enough of this random data from enough random, unrelated sellers....I have ZERO doubt the data will show anything any different that what I have seen and tracked all these years. Disgusting is the only word I can use in this setting. This matches up with my data as per my previous post....this is exactly what occurs. I do not know him, nor him me....and yet we have the exact same experience. Too coincidental to be random or one-off....I guarantee we are not alone. I am not talking about Ebay shipments that use an Amazon Box, but those that actually ship from Amazon which in my case has been every single one as they also have a gift tag in it so they can use their Amazon Prime account to ship the item. I can tell when the shipping label has been printed by the Seller vs a shipment that comes directly from Amazon also. I have no issue with people reusing Amazon boxes to ship their items in, but I do not appreciate the item coming directly from Amazon. As I said originally if the item is going to come from there anyway I might as well make my purchase there and save the additional money they have to charge on Fee Bay. I also have all the invoices printed and my spreadsheets with all information from when i came back to Ebay in 2011 as i need it for my tax purposes. Although I sold a ton on Ebay from 1998 2004 I no longer have those records as I tossed them after I moved and no longer needed the information for tax purposes. But i can definitely show the wall suddenly coming up and slamming my sales so they could redistribute the wealth to others so they would buy into a store. Ebay admitted they needed that revenue when Wenig first started on this Catalog idea. He stated that sales would suffer slightly while buyers and sellers adjusted to the new look, but now Ebay is constantly looking for more ways to raise their fees without needing a sale to happen because they realize that they have destroyed their site and are desperate to show any increase that they possibly can. My sales were climbing big time and then I hit a wall and could not sell more than $250 - $300 per month no matter what I did or how i rotated my stock. Except for the occasional high dollar sale, this is still the situation almost 3 years later while my sales on other sites are taking off. Ebay has now dropped to about 30% of my total sales and my goal is to be off of Ebay permanently once they force all sellers onto Managed Payments. I do not trust Ebay with any of my Bank or CC information based on the fact they use outside contractors to write their programs and nobody at Corporate ever checks what the ramifications of installing these changes will be, even after they promised that no other changes would be made until thoroughly tested by Ebay. There could easily be code written into their program to expose our Financial Information to those that did the programming down the road so they could sell it to others. Ebay would have no idea and of course even if they did catch it, Ebay would never again disclose that their site got hacked or personal information was released because that would destroy their site and stock price. They know that most Sellers have zero confidence in their abilities to protect our information from others, not to mention they already sell a lot of our data to other companies as that is what keeps them in business now. eBay has a lot of issues, and I don't know how to fix them. My kids, ages 20-something, don't ever shop there. They think the site feels old and clunky. My husband quit shopping for clothes there because either the search engine is filtering the selection, or the selection just isn't what it used to be. He stopped shopping for music-related items because the site was simply flooded with cheap Chinese junk. I don't know what the answers to eBay's problems are. At this point, I think it's just an anachronism - the MySpace of retail. Scotty and Rexford. You are indeed not alone. My recent analysis of my traffic reports on Seller Hub reveals that approximately 10% of my inventory is shown 30% of the time. Visibility is enhanced when you constanly list new stuff, or you only list multi-quantity items where you can build a positive sales history for. This positive history bumps your visibility in search. So the implication is that E-bay no longer makes sense for OOAK items because there is no opportunity to build any kind of transferrable sales history that will boost your visibility. These comments are my story exactly. The first 2 years I sold, 2012 & 2013, I did $104,000.00 each year, with an average of 250 listings..
March, 2014, when the Spring Seller Update came out, my sales started falling. Now, I keep 850-950 listings on, and my sales are NOT ALLOWED to get above $4,000.00 a month. Average $45,000.00 yearly. It is so obvious when I am being shown. Bam, bam, bam, In a few hours, I'm done--for 3 or 4 weeks. And almost all my sales are on the east coast and Tx & Ca. I am in the midwest. I have more and more buyers asking me why shipping is so high. It is sad to tell them that most likely the calculator is wrong because eBay inflates the shipping cost for the extra 10% they pocket. I figure their shipping, then make a new listing by adding the correct shipping to the price, then make it free shipping. More work for me, but then I don't have to refund and eBay does not get the extra shipping. When I sell on etsy, they get the shipping cost right on the penny, every time.. I also started accepting free returns (I had very few), thinking it would boost my placement. But in the last 10 days, I have had 2 returns. Reason: Changed my mind. Both of them. Both commented on how nice the item was. So tomorrow, I am going back to buyer pays return shipping. I have just about had my fill. We were growing well year on year up until the end of 2014 Financial Year where we showed +40% annual growth. It was downhill all the way after that with subsequent years showing -30%, -55%, -45% and -25% year on year. We are now turning over a third of what we were in '14 and this year will be even worse. The ship sails on though. Did anyone in eBay management even notice the iceberg? From 2008 almost overnight, my monthly sales dropped to $ 400.00 with 1500 listings. No matter what I am doing to increase sales, eBay's hidden... sales quote $ 400.00 pr. month. If my total sales close to the end of the month are $ 300.00, normally I can expect the last $ 100.00 in sales 2-3 days before the end of the month.